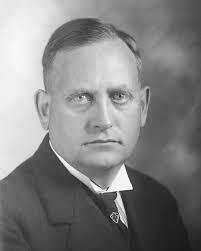 Today in Masonic History Sveinn Björnsson is born in 1881. Sveinn Björnsson was an Icelandic politician and Iceland's first President. Björnsson was born in Copenhagen, Denmark on February 27th, 1881. He graduated from the Latin School in Reykjavík, the oldest junior college in Iceland, graduating in 1900. He went on to obtain a law degree from the University of Copenhagen in 1907. After being licensed to practice law he served as a prosecuter in Reykjavík. From 1912 to 1920 Björnsson served on the Reykjavík City Council. During the same time he served from 1914 to 1916 and again in 1920, in the Althing, the worlds oldest extant parliamentary institution founded in 930 A.D in Iceland. During the 1920's and 1930's, with the exception of 1925, Björnsson served as minister to Denmark after Iceland declared independence from Denmark in 1918. Prior to World War II Björnsson was one of the founders of the national shipping company of Iceland, two insurance companies and the Icelandic Red Cross. In 1940 when the German occupation of Denmark began, Björnsson was elected regent of Iceland and served from 1941-1943. In 1941, Björnsson, allowed the stationing of United States servicemen in Iceland, they remained their in smaller numbers after the war and became a big issue in post-war Iceland. In 1944, Björnsson was elected President by the Althing for a one year term. In 1945 the first national election for President was held in Iceland. Björnsson won the 1945 election and the 1949 election. Björnsson passed away on January 25th, 1952, just before the end of his first term. Björnsson was one of the founding members of Edda Lodge in Reykjavik under the Grand Lodge of Denmark in 1919. Prior to arriving in Iceland, he had recieved the 6th° of the 10° system under the Grand Lodge of Denmark. He would later be the Grand Master of the Grand Lodge of Iceland.